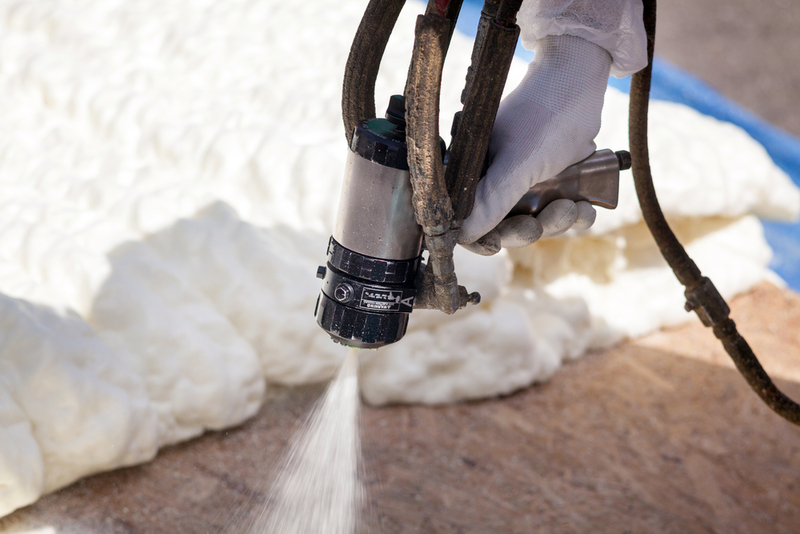 Spray foam insulation is not only a highly effective insulating material, but it also creates a barrier to seal out air leaks, moisture and vapors. It resists heat transfer, known as radiant heat. It’s also a fire-retardant and sound deadener. This polyurethane material is available in high-, medium- and low-density, based on the location you wish to have it applied. The material is sprayed in wet and, as it dries, it expands to fill any holes, gaps or cracks. This material has immense insulating properties, offering a higher R-value than almost any other alternative available today. To get the best results from spray polyurethane foam (SPF) insulation, start by adding it to these three areas of your home. Many older homes (and some newer ones as well) were built with inadequate insulation in the walls – or none at all, in some cases. And, while it’s virtually impossible to add insulating batt to your walls without tearing off all the drywall, you can add spray foam with minimal effort and mess. We simply drill holes in the appropriate locations, and then pump the insulating material into the wall cavities. We seal the holes and voila! Instant insulation. 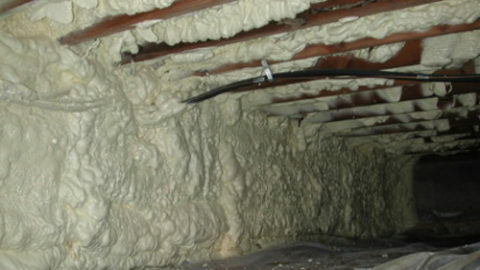 Adding SPF to your basement will improve the comfort of the space and seal penetrations. And, because this material is highly water-resistant, it will stand up to flooding if your basement is prone to that. If you have a crawlspace below your house, consider adding SPF there as well, to create a moisture barrier and seal air leaks. 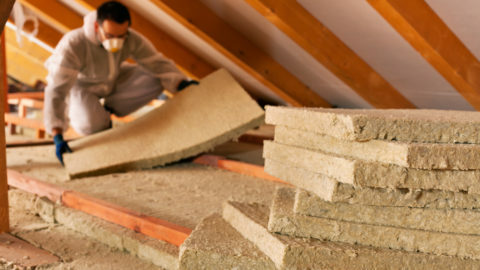 To get the biggest return on your investment, add spray foam to your attic. This is a highly cost-effective way to reduce your energy use and improve the comfort and safety of your home. You can use SPF to supplement your existing batt insulation or, if it’s time to replace your fiberglass batts, you can choose to replace it with foam. You can expect to pay a little more for foam, as compared to fiberglass, but you’ll derive multiple benefits and significantly reduce your energy costs. In Layton, Provo and throughout northern Utah, call on the energy efficiency experts at GreenHome Specialties. 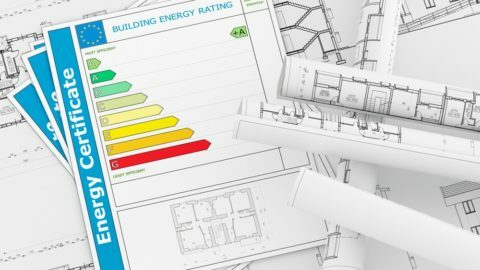 We work with homeowners and business owners alike, helping them make energy efficient improvements to their properties. 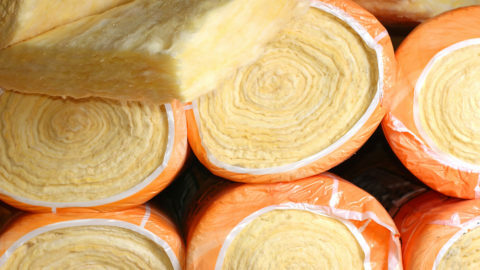 If you aren’t sure whether you need insulation, we can perform a basic home energy audit, to determine which improvements could make the biggest difference in your energy use. Contact us today to learn more, or to request your home energy audit and customized quotation for adding spray foam insulation to your Utah home.